For our January editorial story, We the Sporty, we were heavily inspired by our "New Year, New Me" efforts. We've decided to dedicate 2018 to being healthier and getting stronger (more on that here). We've been living in gym clothes, so we wanted to show how athletic clothes can translate into cool street-style. 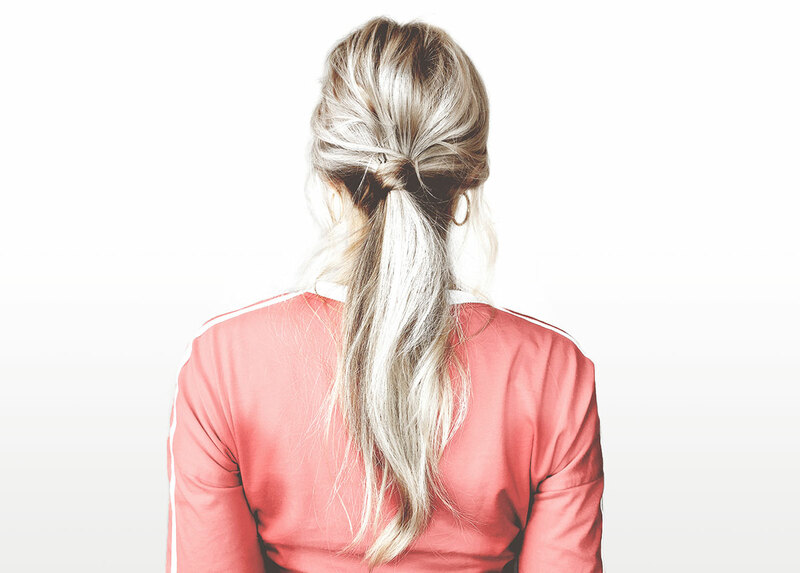 Our hair stylist, Stephen Jaime, put his creative spin on "gym hair." We wanted to create easy-to-achieve hairstyles that can take you from the gym to happy hour (or really anywhere you need to be). Nat wanted to go with a messy, low ponytail for this look. The ponytail is the quintessential active hairstyle. Stephen added interest to the ponytail by wrapping a chunk of hair around the hair band. Natural waves fall to frame her face and complete the look. 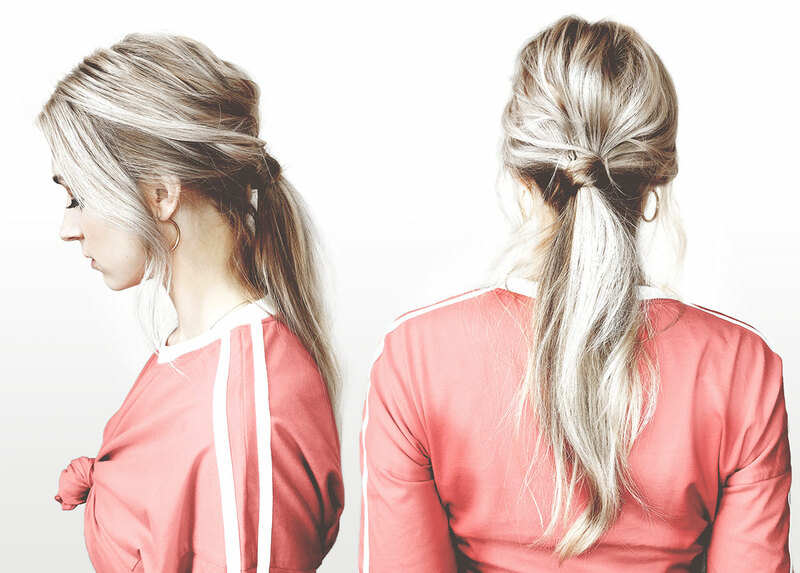 This is a super easy take on the classic ponytail. Lipstick: NARS Powermatte "American Woman"
Sarah's hair is quite short, so the obvious choice of a ponytail to keep her hair out of her face is not an option. 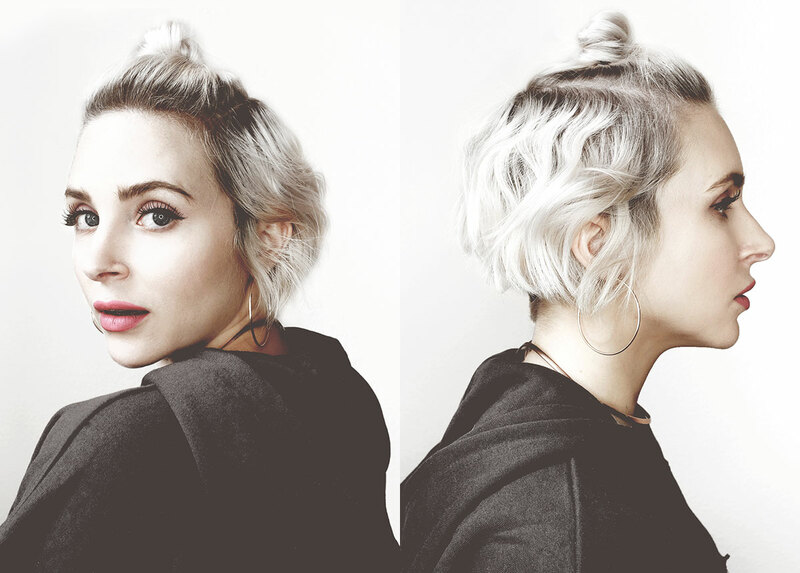 But, short haired girls still need cute ways to pull their hair back! We opted for a half-up,"top knot" for her look with the Alo Jubilee Bra. 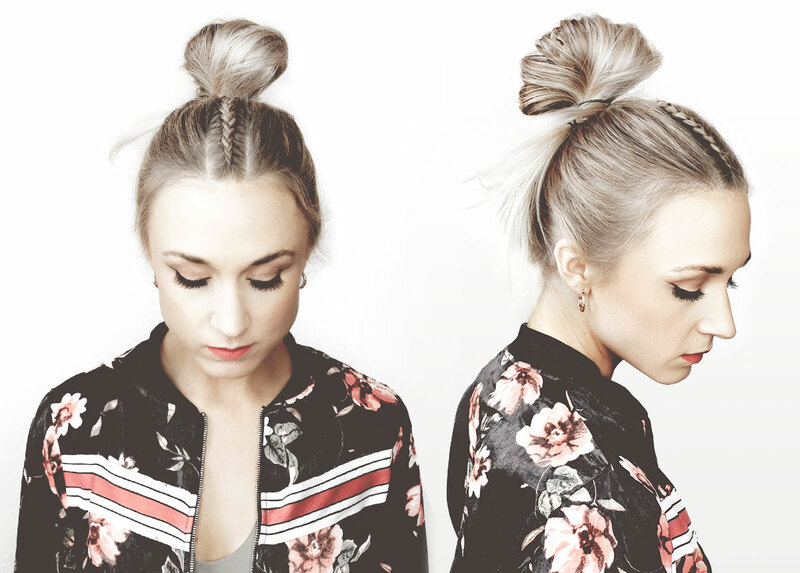 This lived-in look is super easy to achieve— throw your top section into a messy bun. Finish off the remaining hair with some flat-iron waves. This hairstyle would also look amazing on someone with long hair! Lipstick: NARS Powermatte "Low Rider"
We can all agree that braids are the perfect hairstyle for active days. They add an element of interest while keeping all the hair out of your face — cool & practical. 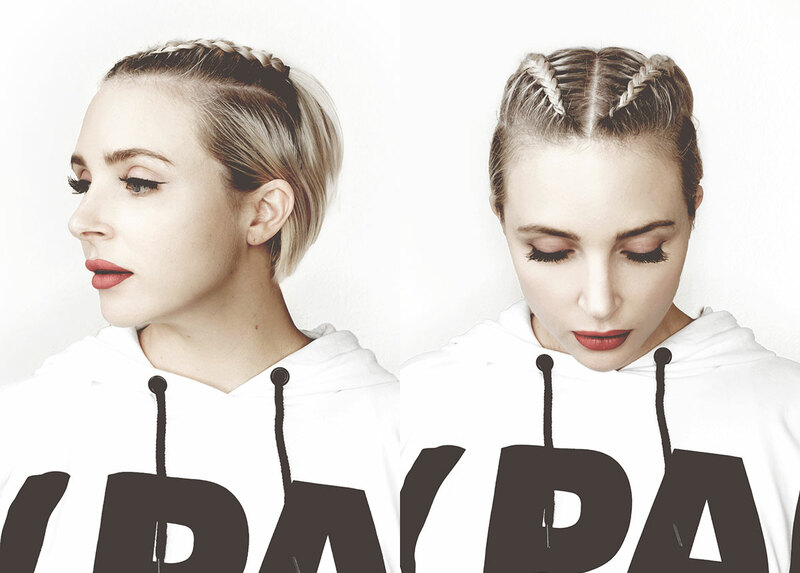 Sarah sported double dutch braids (the inside out version of a french braid) with the Ivy Park Crop Hoody. You've probably seen Kim K rocking her version of these braids. Stephen separated my hair into two sections, then he braided the top of each section. We decided to leave the lower sections out of the braids because my hair is not quite long enough. So he used a gel product to keep my hair out of my face on the sides. Et voila! The half-up double dutch braid look. Lipstick: NARS Powermatte "Light My Fire" over NARS Powermatte "Don't Stop"
A messy bun is every girl's best friend on "dirty hair day" / let's be real, every day. Stephen brilliantly fashioned two small French braids down the center (front and back) to add an element of interest to an otherwise common hairstyle. If you can't braid your own hair (don't worry, neither can we) — find a friend who knows whats up! These braids should take less than 5 minutes for someone who knows how to braid. Lipstick: Sephora Collection "18 Flame Red"